We are in the end of April, and it is quickly approaching summertime. That means beach season is quickly approaching and it is time for you to get outside and show how well you did during the holiday season. Because you didn’t overeat on Thanksgiving, Christmas, or even Easter right? That’s the case for most people is that they have put themselves on the back-burner during the holidays every year and then are playing catch up for the New Year. Those New Year’s Resolutions are in full effect until the end of summer and then the cycle of eating too much during the holiday season starts all over again. One of my favorite things to do for my clients is to set goals for them to meet every week and I let them guide the goal that I give them. 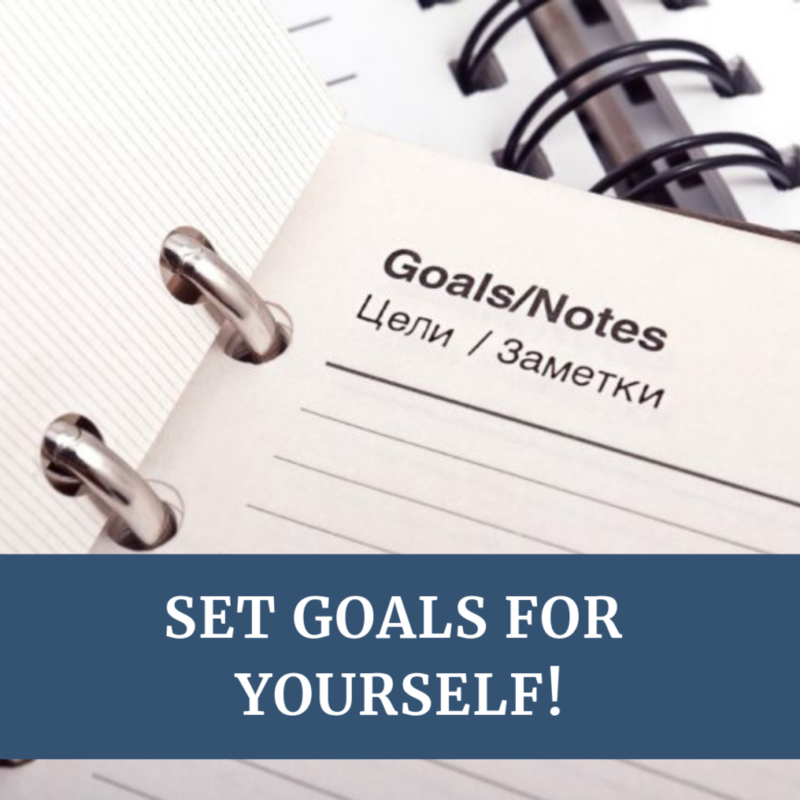 If you set the goal for yourself, then you are more likely to stick with your goals. The following rules are to help you achieve your goals without making yourself give up because you’ve set unrealistic expectations for yourself. Rule number 1: Always make your goal realistic. Don’t tell yourself that you will exercise everyday if you know that you only have time for two or three times per week. If you start off saying that you’ll jump into exercising everyday and don’t meet your own goal for the first week, you are more likely to quit exercising. Rule number 2: Your goal should be specific. Don’t just say “I’m going to work out three times a week.” You have to be specific with your goal setting. So make a plan with yourself on what type of exercise you will do everyday. If you want to do cardio three days a week, then make that your specific plan. If you want to mix in cardio with resistance training once a week, then that would be your specific goal. Rule number 3: Set a timeline. Now that you have your realistic goal to do cardio three times a week, you need a timeline of how long you will complete the workout. You can easily say you’ll exercise for three times a week, but that could mean you only complete it for 3 minutes. That is why you need to set a timeline. So make that goal be “I will complete cardio three times a week for thirty minutes each time.” Also tell yourself how long you will complete the exercises. Is it for one month, three months, six months, or even an entire year? Rule number 4: Hold yourself accountable. Don’t give up on your goals because you didn’t meet them. If you don’t exercise on Wednesday because your job made you stay late, then don’t not exercise three times that week, go on a day you normally don’t go. If you don’t manage to meet your goals, give yourself a punishment so that you don’t give up on your goals. For example, you didn’t fit your workout in all week long, pack up your favorite outfit and you don’t get it back until you finish next week’s workout. On the same note, if you meet your goal for the week to do cardio three times a week for thirty minutes, reward yourself with something that you want or need – maybe a hot bath or a new outfit! Overall, holding yourself accountable for the goals you set for yourself will get you to stick with your exercise plan and improve your fitness level! Don’t give up on your fitness goals!